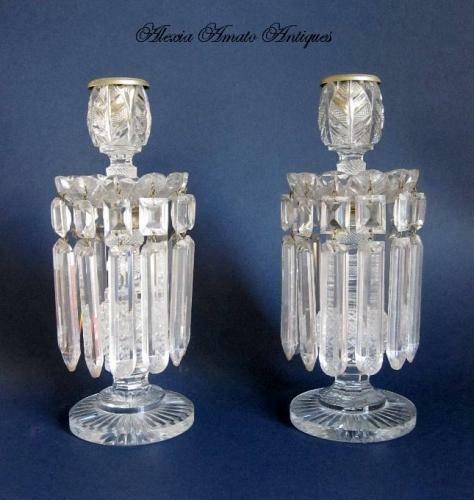 High High Quality BACCARAT 1820 Cut Crystal Lustres. Highly Cut All Over the Body with Diamond Point Cut and Cut Fern Leaf Design on the Scones. Super Quality! Highly Cut All Over.